This is the perfect after-school snack, and the best part is, it is totally customizable! Pick your favorite yogurt, fruits and nuts and spread it and top it! Then just pop it in the freezer so the magic can happen and BAM! 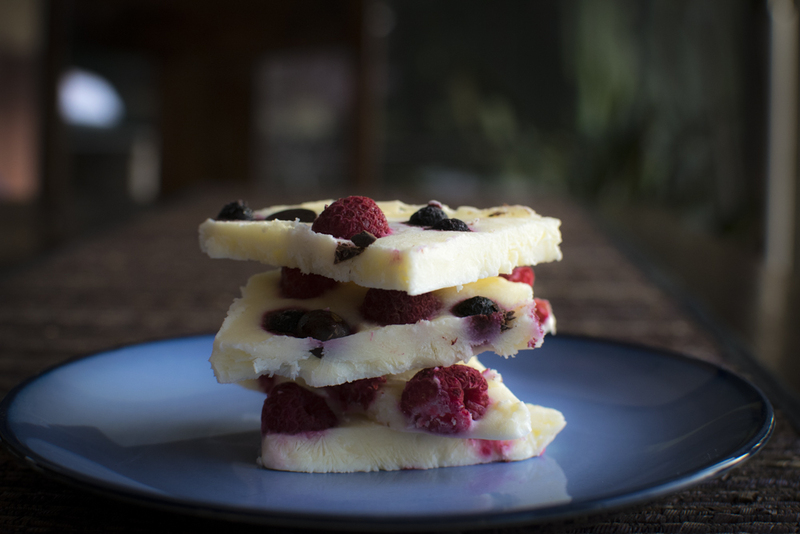 You have this amazing fruit yogurt bark. It kind of reminds me of candy bark but it is way better for you and it’s so incredibly easy! So what are you waiting for? This is the perfect after-school snack, and the best part is, it is totally customizable! Pick your favorite yogurt, fruits and nuts and spread it and top it! Then just pop it in the freezer so the magic can happen and BAM! 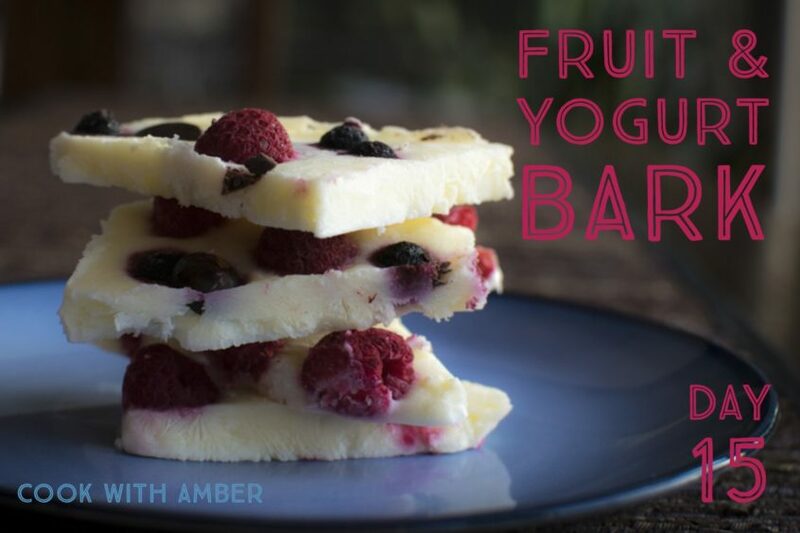 You have this amazing fruit yogurt bark. It kind of reminds me of candy bark but it is way better for you and it's so incredibly easy! So what are you waiting for? Add honey to the yogurt to taste, and stir to get out clumps. Pour onto a baking sheet lined with wax paper or silicone mat. Jiggle the baking sheet a bit so the yogurt can settle and distribute on the sheet. Put in the freezer and let it freeze overnight until completely solid. Transfer the frozen yogurt onto a cutting board, and cut into big chunky pieces.